I haven’t posted lately because I’ve had my head in a paper for school, and because I’ve been working on two large paintings that have been taking FOREVER. One of them I’ll show you shortly (or whenever I finish it) and the other one you’ll have to wait until Christmas season. I’m really taking the above verse way out of context for this post, but I was just playing around with words when thinking of how to describe what I’ve been doing lately in my art. I’ve been taking some “old” things – like old paper, letters, envelopes, etc. that I’ve found at antique stores and that have been given to me – and painting on them, turning them into “new” art. 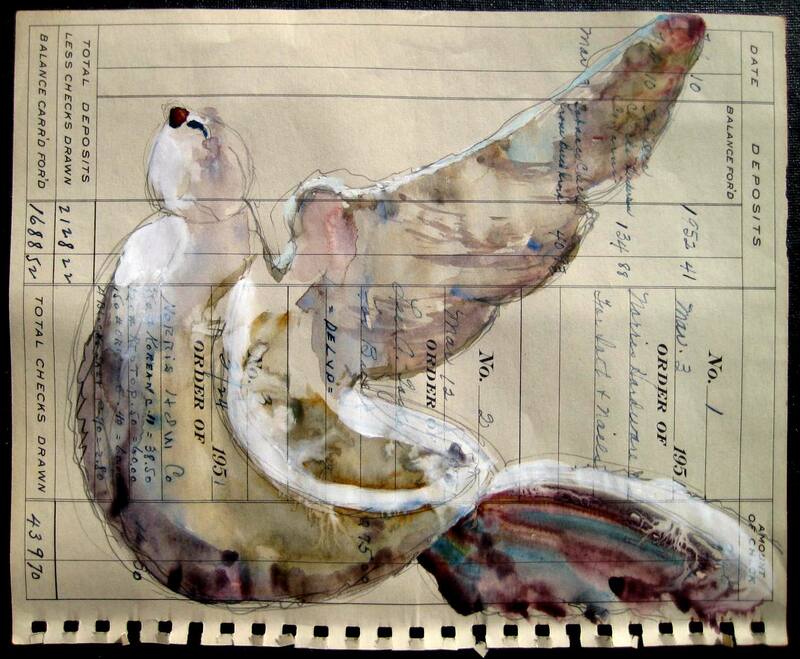 Below is an example of a quick sketch of a dove I painted on an old check register. I love this old paper – it gives the painting some neat character. I can’t wait to show you the big painting I’ve been working on using this same technique! Hopefully I’ll have it to post soon! LOVE the dove painting!!!! That turned out really cool on the check register! what an awesome idea! can’t wait to see what is next!! Thank you Amanda and Susan! The paper is done! yeah!! Lets do dinner soon! As always love your art. Just had your painting of the African girl framed-Love it! My house is full of your art and I love them all. Love you too! Thank you Jonathan and Tracy! Yes, the paper is done – only 4 more to go :). Tracy, you’ll like the piece I’m working on right now – it has to do with Africa – it’s very different from anything I’ve done before. I can’t wait to see the Africa girl framed – where are you going to put it. Yes, we need to plan dinner – what are you guys doing this weekend?